Chýnov cave was invited in year 1863 during works in stone pit. The cave is intresting by his colour (yelow, white, brown). Sheer corridor have deep 41 m. The lenght cave is more than 1200 m and 200 m is open for public (but really lenght is for this days unknown). 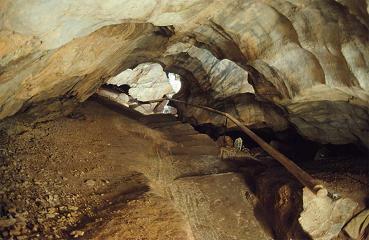 The caves are situated 13 km an the west of Pacov direction Tábor.